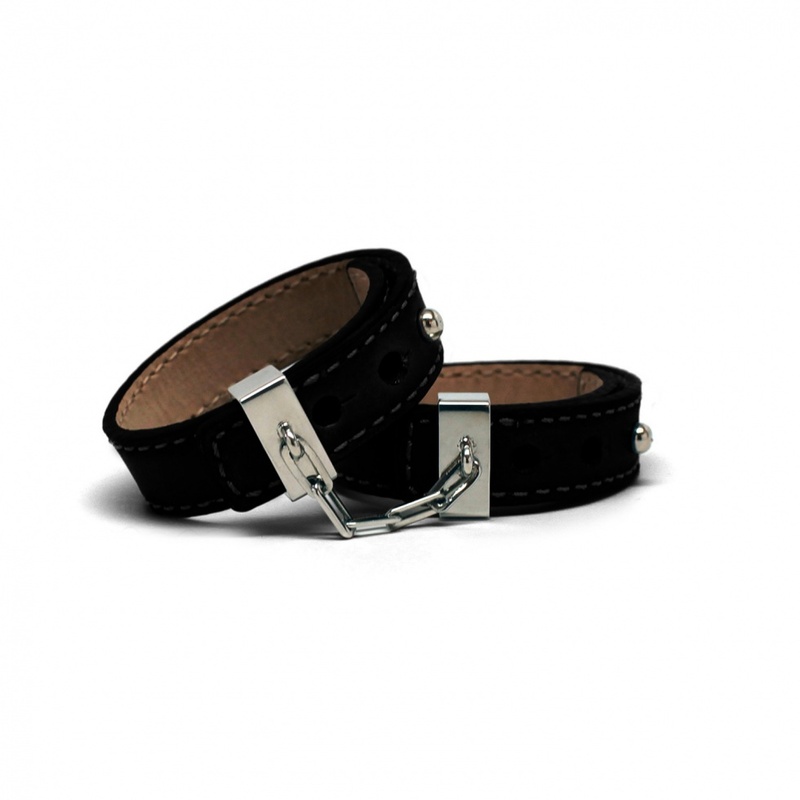 Stylish cuff bracelets crafted from fine leather double as handcuffs for a dose of risqué fun. Placed in black elegant gift box. Night falls. The empty champagne glass now carries only your red kiss mark. Underneath the black see-through gown, you draw a little black box. Placing it lightly next to the candle light, you whispered here is dessert. The moment the box is opened, the night of ecstasy begins.